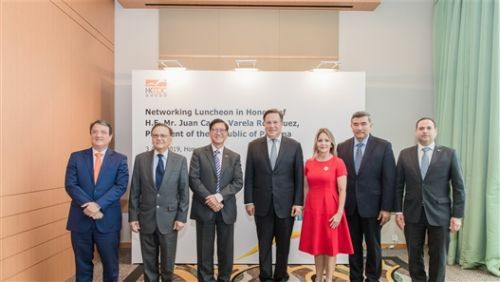 HONG KONG, Apr 4, 2019 - (ACN Newswire) - The Hong Kong Trade Development Council (HKTDC) organised a networking luncheon yesterday (3 April) in honour of Panama President Juan Carlos Varela Rodriguez, who was visiting with a high-level official delegation to promote trade and investment with Hong Kong. Hosted by HKTDC Acting Executive Director Raymond Yip, the luncheon was also attended by Panama officials and Hong Kong business leaders. At the event, both Mr Varela Rodriguez and Mr Yip highlighted the potential for further business collaboration between Panama and Hong Kong, including in areas related to the Belt and Road Initiative and Guangdong-Hong Kong-Macao Greater Bay Area Development.